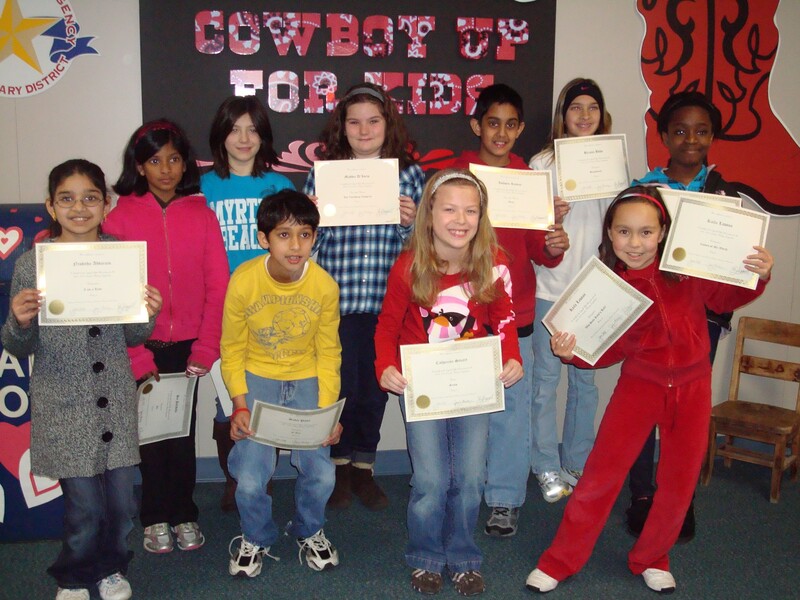 Pinkerton Elementary is proud to have 12 participants in the Coppell Gifted Association’s Creative Writing Contest. 1 student received 1st place in poetry, and 2 students received honorable mention (one in poetry and one in fiction). Congratulations to the students and Pinkerton Elementry!